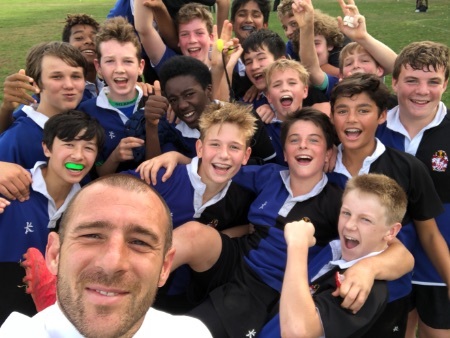 The U14 B’s finished the first half term with a solid win on the road at Bedford. This fixture is always a tough one this was no different. Dulwich made the early running and scored two quic tries through Tomas CB and Jack Gardener before Bedford made a strong comeback and Dulwich struggled to deal with Bedford’s strong forward runners and power at the breakdown. It remained 10-0 at half time and Dulwich continued to struggle to move the ball with any accuracy until the last 10 minutes of the game when they finally worked out that the space was wide. Nicollo Robertson scored a fine try in the right hand corener before Tom German helped himself to two tries and Aaron Lowry-Beardsley finished off the try scoring. The boys have worked extremely hard this term and know that they will need to continue to work hard if they are to keep improving and finally realise just how good they can be when they concentrate and do their best.